Labour believes strongly that ensuring equality must be one of the key principles. 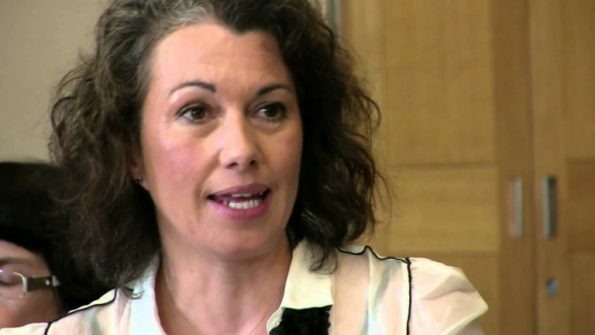 By Sarah Champion MP, the Shadow Secretary of State for Women and Equalities. My constituents in Rotherham voted overwhelmingly in favour of leaving the European Union, but I do not believe for one moment that they were voting to make themselves and their communities worse off. Although there has been a vote to leave the EU, we must be clear that there has not been a vote on the terms of our withdrawal from it. It is therefore crucial that while Labour must not frustrate the article 50 process, we strive to reach for the best deal possible for all constituencies, whether they voted remain or not. This was, after all, a national referendum, not a constituency or borough-based referendum, and we must act on behalf of the will and best interest of the entire nation. As my friend and colleague Keir Starmer has articulated, Labour will hold the government to account throughout the Brexit process. We will fight for the best possible Brexit deal – one that prioritises jobs, the economy and workers’ rights. That is why the amendments tabled by Labour are so important. They seek to establish a number of key principles at the start, which we will keep pushing during the process. Labour believes strongly that ensuring equality must be one of these key principles. The EU has equality enshrined at its very core, imbedded in many of its founding treaties. Article two of the Treaty on European Union (introduced by Lisbon) affirms that gender equality is a core value of the EU. Article eight of the Treaty on the Functioning of the European Union made gender mainstreaming a principle of general application in all EU policies. Equal pay legislation in the UK derives from European law, enabling women, often on low incomes, to challenge pay discrimination. The equal treatment directive sets high standards on preventing and prohibiting sexual harassment. That is why Labour will be urging members from across the chamber to support my new clause 98 which seeks to underpin each stage of the Brexit process with equalities considerations. This will ensure that we get the best deal for everyone, where-ever they are, but crucially, who-ever they are. The prime minister has already indicated she would, if necessary, make Britain a low tax, low regulation economy. This pessimistic vision cannot be compatible with safeguarding equal rights. Some of the most basic rights that we now take for granted – pregnancy and maternity rights, part-time workers’ rights, equal pay for work of equal value – could all be at risk if the UK becomes a low-regulation economy. As so many have affirmed over the last few months, Labour’s task now must be to try to bring people together and heal the divisions since the referendum, especially in light of the worrying dramatic increase in hate crime since last summer. Part of bringing the country together is ensuring that this process does not, advertently or inadvertently, make life worse for any section of society. Labour’s new clause 98 seeks to place specific duties on the government to demonstrate compliance with the 2010 Equality Act, ensuring that the impact of decisions on women and those with protected characteristics are considered and debated at every stage of the process. Any negative impact on women or those with protected characteristics must be transparently presented and considered and if there is a disproportionate impact, this must be mitigated. The amendment is very much in line with recommendations from the cross-party women and qualities committee, chaired by Maria Miller. The committee has called for greater transparency on the impact of government decisions on women and those with protected characteristics. The committee recently said: “It is the committee’s view that greater transparency is essential in order for the government to demonstrate that it has fulfilled its obligations to assess the equalities impacts of future spending reviews, budgets and autumn statements”. If there is cross party consensus on the need to assess the equalities impacts of spending reviews and financial statements, then surely there must be agreement on the need to assess the equalities impact of the biggest task Whitehall has ever been faced with – the withdrawal of the UK from the European Union. Labour’s amendment seeks to ensure that equalities considerations are not side-lined or retrospectively considered as an afterthought, but rather are underpinned at every stage of this process, to ensure that everyone, regardless of gender, race, disability or sexual orientation stands to gain equally from any deal reached and should not be expected to carry any disproportionate burden. We must strive for a deal that doesn’t forget or exclude anyone, one that is scrutinised at every stage, in part against the measure of how it considers and advances equality for women and those with protected characteristics. Publishing transparent and thorough equality impact analyses throughout this process will serve to improve accountability at every stage and provide a valuable tool to MPs of every party in the undertaking of their scrutiny role. The Lords select committee on the Equality Act 2010 and disability recently expressed its disappointment “that the ministers were not more ambitious in their expectations of the Treasury’s efforts on equality”. We must now ensure that we are ambitious in our efforts on equality at this crucial moment in our nation’s history – ambitious for women, LGBT communities, BAME and disabled people. A version of this article appeared on the LabourList website on 7 February 2017.